Taking on both David and Goliath, this fantastic offering from Resource Furniture offers a truly versatile option in space-saving ideas for modern, dynamic living. 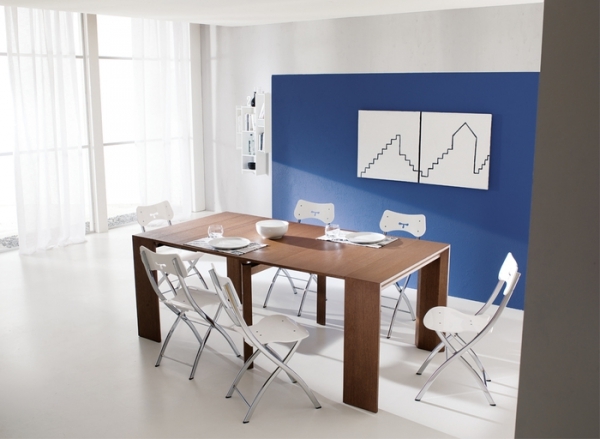 The Goliath table may look unassuming at first glance, but stretched out to a dining table it can effortlessly accommodate 10 persons. Articulated in sharp notions and crisp lines, the transforming table offers a visually delightful and functionally liberating accessory for your home and office – no matter how big or small. 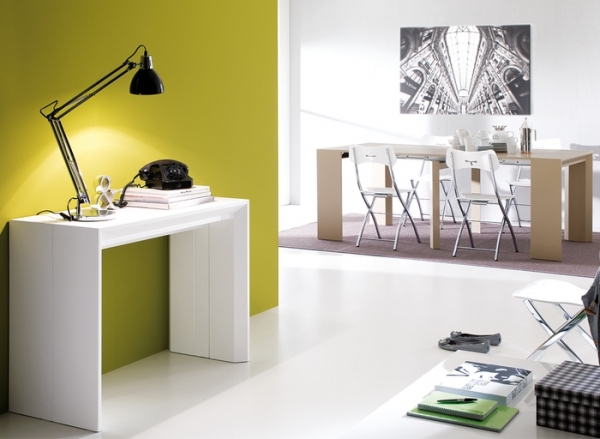 At its humblest, the Goliath sits as a console table no deeper than 17 inches. 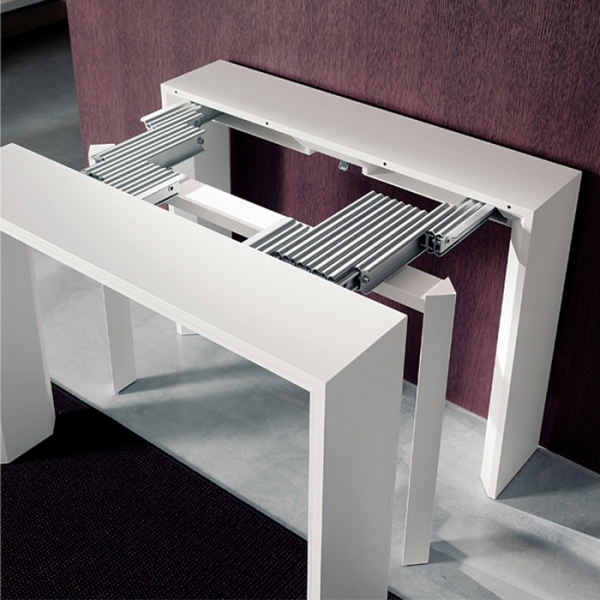 Equipped with five tabletop leaves and an in-built track mechanism that unfurls new lengths, the table can be pulled out to the dimensions desired, depending on demand and purpose. The seamless console table design gives way to deeper configurations with the inclusion of every tabletop leaf, extending up to a maximum of 115 inches. This transforming table is available in a scintillating variety of finishes that are sure to inspire and upgrade your space. 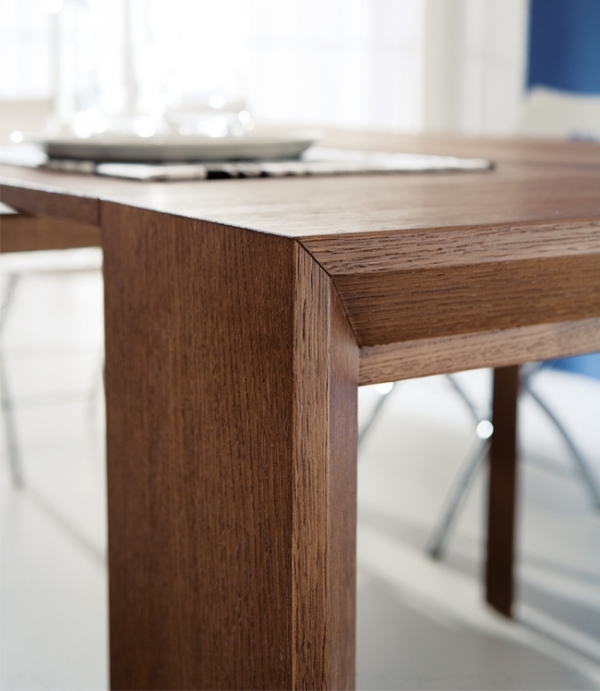 Choose from a range of glass, lacquer and wood-finished veneers to find the table that is perfect for you. You can purchase the Goliath online from the Resource Furniture website or at one of their showrooms across North America.